We have a new monthly feature on our blog. Every first Monday of the month, we will feature an update for school leaders with an idea you can use with your school. This month's update comes just in time for Fall BEDS. Have teachers that haven't renewed their courses and are in need of license renewal credits? We have the perfect solution. Our Self-Paced Courses are an inexpensive, flexible solution for educators that feature some of the most pressing professional development needs. They can be started at any time and completed at any pace. There are no deadlines, waiting for the next cohort to start, or waiting for the class to finish to receive your transcript. All for $60 for 1 license renewal credit. 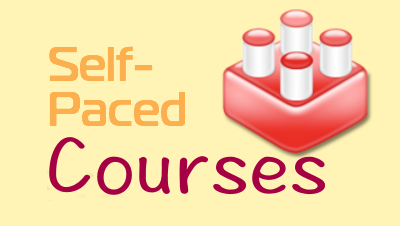 We have four Self-Paced Courses on our system currently, and will be adding two more this fall. Contact us for more information about the courses, or click on our link on the right side.